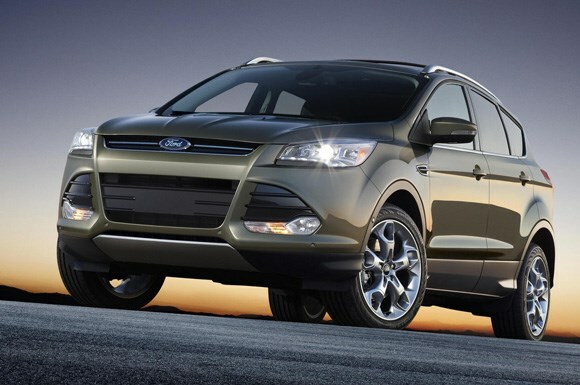 The all-new Ford Kuga, due to go on sale in 2012, has been unveiled at the LA Motor Show. Externally, the Kuga has received cosmetic tweaks such as new light clusters and front-end styling that features the most recent Ford family face. 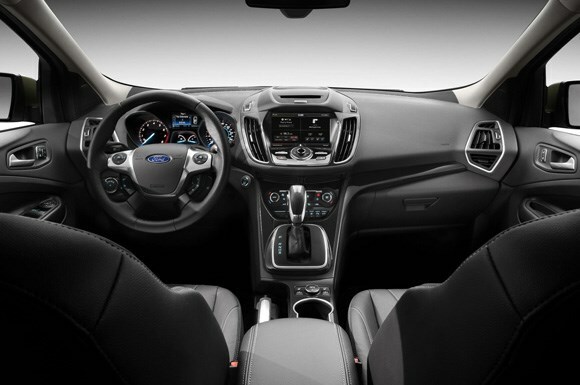 Inside, the interior has been freshened up with a dash similar to the new Focus, and benefits from a range of new technologies and better materials. There’s more space on offer as well, while the rear seats fold flat easily to allow storage of bigger items. Buyers can also specify a moveable boot floor. It can be lowered to maximise space, or raised to provide a flat floor. This helps with loading and unloading larger objects. 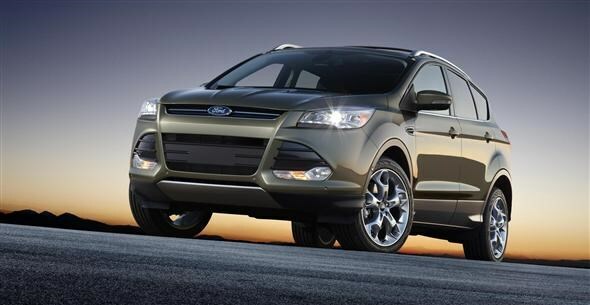 Ford claims that the new Kuga will be more engaging on the road, while a new intelligent four-wheel drive system will provide better traction off it. Utilising advanced software and sensors, the new Intelligent 4WD system assesses information from 25 signals – such as road speed and steering angle. It then directs power to where it is needed most, helping keep the car pointing in the right direction. It also features optional technology such as a hands-free tail gate, which can be opened with a swipe of your foot under the bumper. 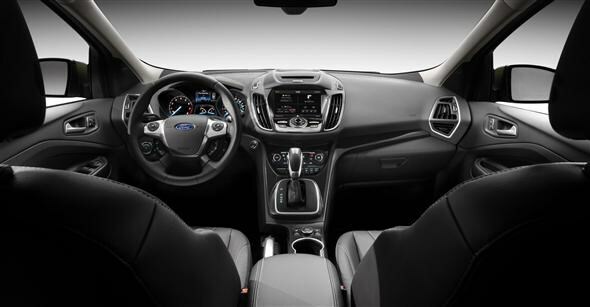 Other optional equipment will include a blind spot warning system, a self-parallel parking package, voice control functionality and touch-screen displays. 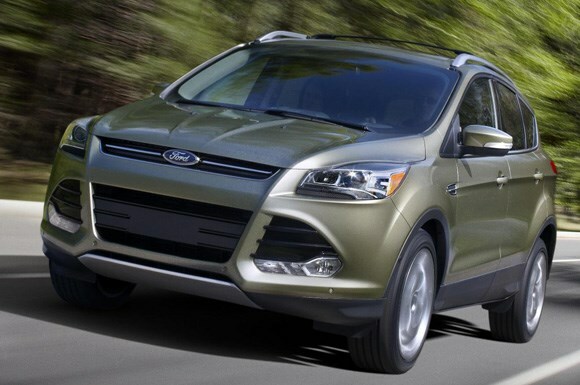 Engine options for the new Kuga have yet to be announced. Customers can, however, expect a line-up consisting of EcoBoost petrol and TDCi diesel options, as well as manual and automatic transmissions. Besides more advanced engines, and energy-saving features such as stop/start, improved aerodynamics and drag-reducing technologies will help better the economy. The current Kuga is capable of an average of 47mpg, with the 163bhp 2.0-litre diesel engine and six-speed manual gearbox, so potential customers should expect significant improvements on that figure. Safety, always a key concern, has also been improved. The Kuga gets a system called ‘Curve Control’, which automatically slows the vehicle if you corner too quickly. 'Torque Vectoring Control', designed to help maintain traction during a turn, is also fitted. 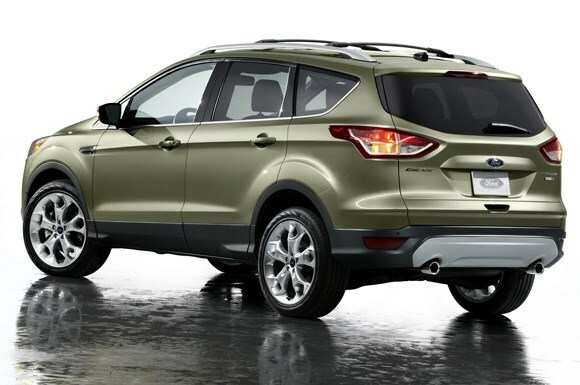 The all-new Kuga will be revealed at the Geneva Motor Show in March 2012, with sales starting later in the year. Official pricing has yet to be announced but, with the current model costing upwards of £21,645, buyers can expect prices for the new Kuga to start in the region of £22,000.